The location amongst the forest of the Lahemaa National Park is properly magical, and the staff at Projekt-Kodu ensure you have everything required for your time there. The dinners are delicious, and the morning yoga was a fabulous way to start each morning! The free bikes are a great option, and you are able to reach plenty of hikes and interesting places by bike or by foot. I was lucky to experience all sorts of weather while I was there, and it all added to the experience of being in nature. Best thing I did in Estonia. Very relaxing atmosphere with free yoga. Jim is a very humble guy. Lots of hikes and cycling paths to explore. I loved this place so much!! Wish I’d stayed longer. It was so lovely and relaxing. 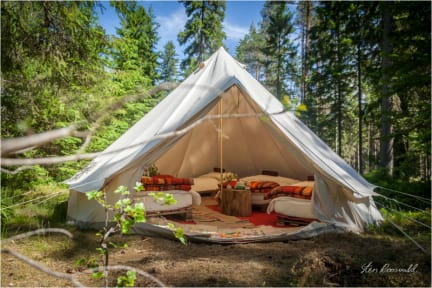 Sauna, yoga, hot tubs, bikes and very comfy tents. Jim and all the staff who work there are fabulous. Can not recommend them highly enough. In a two week trip around the Baltic, this was the best and most memorable place I stayed by far. So much love and effort has been poured into this project by the guys running it, and you feel part of a real community - even after only a very brief stay. And they've built a traditional sauna on site! It's not the kind of place I would usually stay, but really glad I did. Such an amazing place in the middle of Lahemaa National Park. It was easy to get there from Tallinn by public bus. We really enjoyed sleeping in the tipi tent, the beds were warm and comfy. Sauna and a hot shower is a must do after a long day of cycling and hiking :) There was also dinner offered every night for only EUR 5. And of course Jim was so welcoming and helpful, he gave us a map with all the hiking trails. I wish we could have stayed longer. Would definitely recommend staying here! 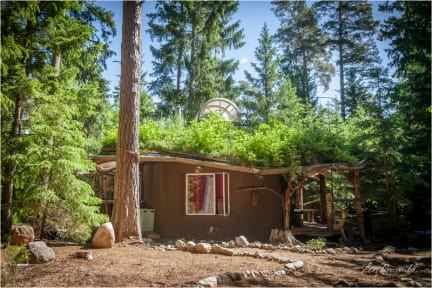 Very nice and quite special hostel, directly in the forest. Great and comfortable tents! Amazing environment and atmosphere. Super nice sauna and hot tubs outside. Great breakfast and dinner. You can do great trips with the bikes around the park. We spend an amazing time there. Only bad thing: At the end we had to pay more money, that they was telling us before, so we was a bit disappointed about the misunderstanding and the unfair price. All of it, it is a nice hostel, but a bit expensive. Great Place with it's special kind of atmosphere, guess you won't find a similar one. Loved the long evenings at the fireside and the walking trips throgh the beautiful nature. The whole area is made with much love, though there are some little things which weren't working and the bikes are pretty terrible. But I can definitely recommend this special hostel to everyone!